Leadership and management are terms that are often used interchangeably in the business world to depict someone who manages a team of people. In reality leadership vs. management have very different meanings. It’s important to understand the difference when choosing between the two products in the Everything DiSC family: Management and Work of Leaders. In simple terms, the DiSC Management’s approach is for one-to-one relationships–manager to individual staff. But, the DiSC Work of Leaders approach is for the one-to-many relationship. If you have an employee who has just moved into a new managerial or leadership role, it can be hard to choose which profile would help that person most. Both profiles are relevant for leaders at all levels. 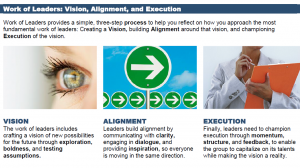 The focus of Everything DiSC Work of Leaders assessment is on tangible steps directed at leading a group or organization toward a desired outcome. The three-step process includes creating a vision, building alignment around the vision and championing the execution of the vision. 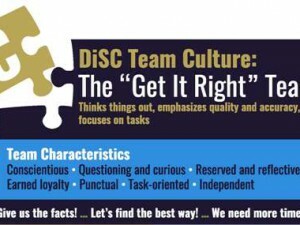 All four DiSC styles contribute to leadership success and most likely someone’s strengths are reflected in their DiSC style. However, leadership is also influenced by a variety of factors including someone’s character, life experiences and cognitive abilities. Work of Leaders helps develop preferred behaviors that are based on best practices. Good leadership skills can be difficult to learn because they are behavioral in nature. Everything DiSC Work of Leaders focuses on developing preferred behaviors that are based on context-specific best practices to develop leadership skills. The focus of Everything DiSC Management is a deeper understanding of yourself, as this is the first step to becoming a more effective manager. 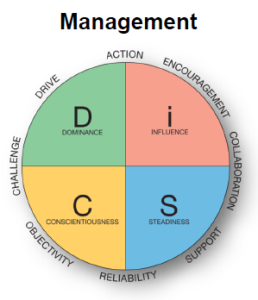 The DiSC Management profile will help you understand the preferences you have as a manager, thereby helping you understand what you enjoy and what drains your energy when managing. 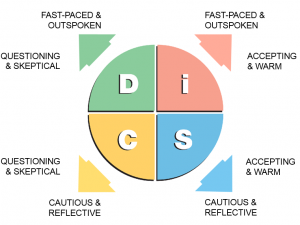 The profile also teaches you how to observe behaviors in colleagues, employees and clients to recognize their DiSC styles and how to adapt your behavior to other DiSC styles to manage more effectively. 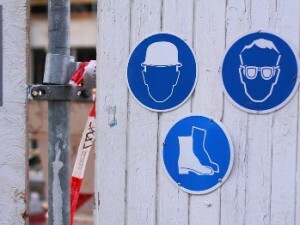 The concentration is on directing, delegating, motivating and developing the people you manage. 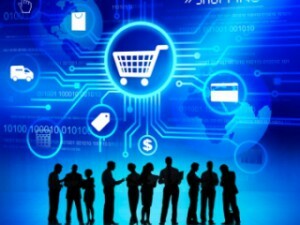 The profile recognizes that all styles are valuable and can manage effectively. Reviewing these sample reports for each profile will make the differences more clear. The Everything DiSC Work of Leaders and Everything DiSC Management profiles can both be used to improve your skills in the workplace. If you’re uncertain as to which profile might work best for you current needs, the people at DiscProfile.com would be happy to help. Just call (877) 344-8612.